One of my AAUW photo group friends was giving away peaches yesterday- a perfect opportunity for me to finally get back into my still life “studio.” I have been so busy lately that I have had to put still life photography and macros on the back burner and just rely on the travel shots I’ve done throughout the summer. I used my Lensbaby with the Edge 80 attached for these photos- and then ended up doing a version in Topaz Impression as well. I added a texture to the original photo below to soften the black background. I used one of the Van Gogh filters, although there were MANY other options that would have worked well too. I usually take the photos back into Photoshop and mask off portions to reduce the painterly effect, but I really liked them straight out of Impression this time. 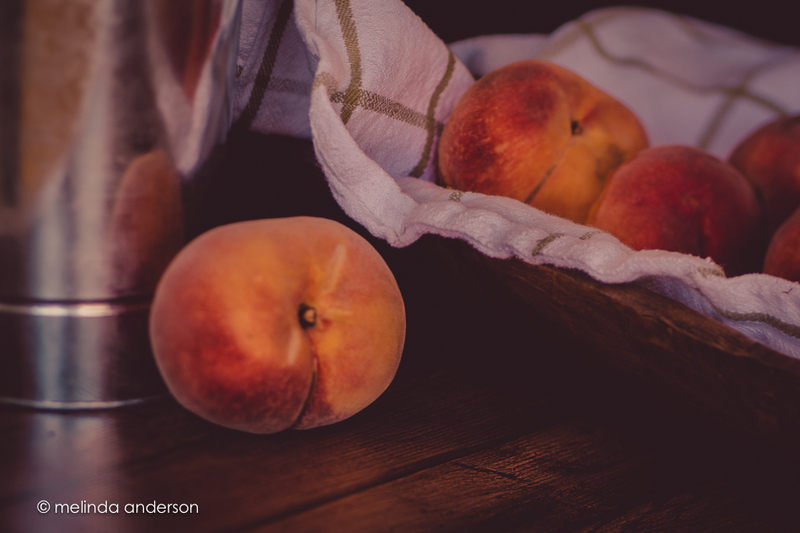 This entry was posted on August 21, 2015 by Melinda. 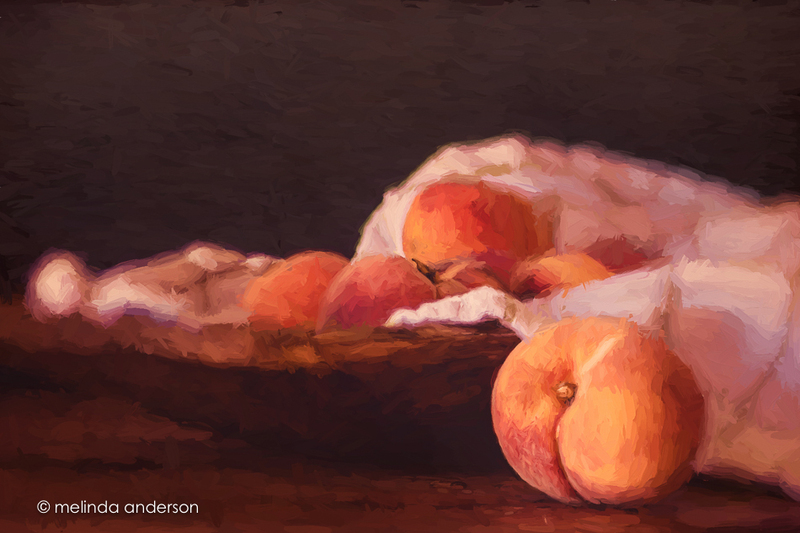 It was filed under food, lensbaby, still life and was tagged with fruit, lensbaby, peaches, photography, still life, Topaz Impression. These are great! The last one, superb! Nice job. Stunningly beautiful! Once again, thank you for the inspiration.